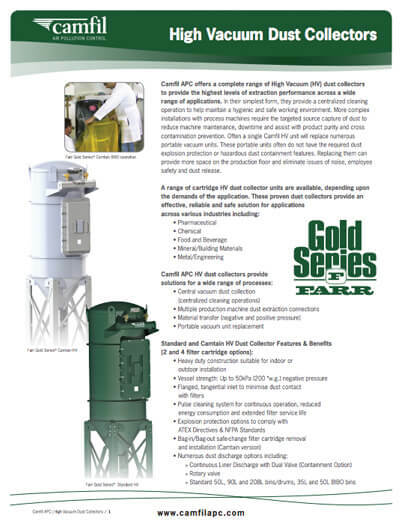 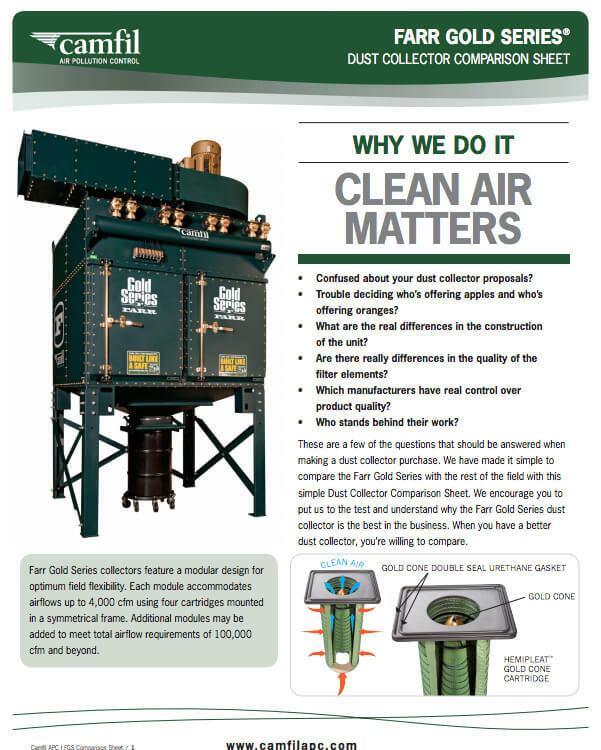 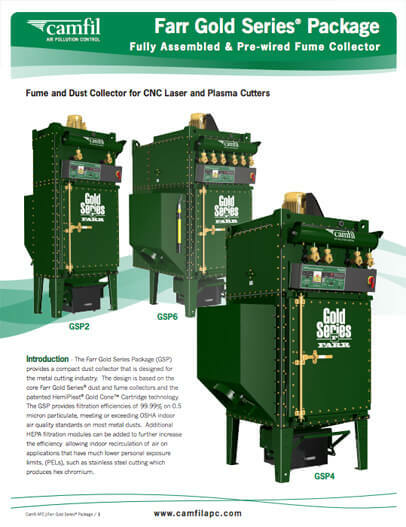 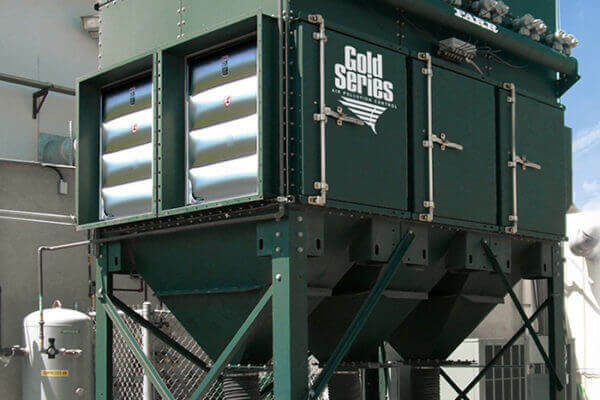 The Gold Series X-FLO (GSX) industrial dust collector is the industry’s best-in-class dust collection/fume collection system. 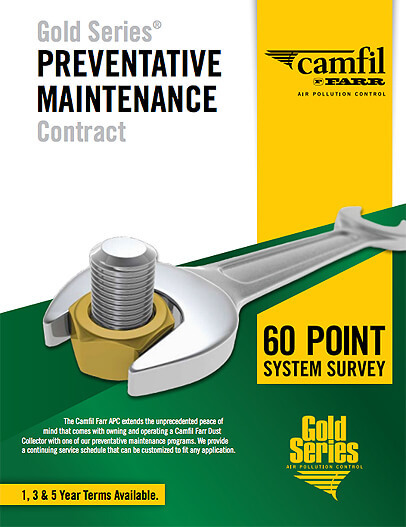 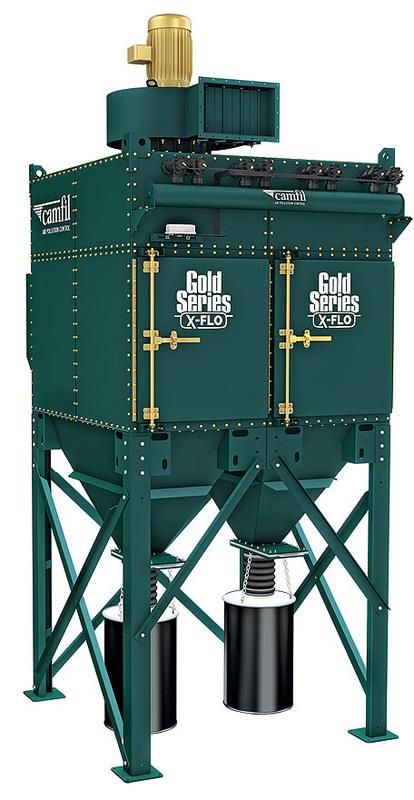 It’s built on 20 years of successful performance of our award-winning Gold Series system. 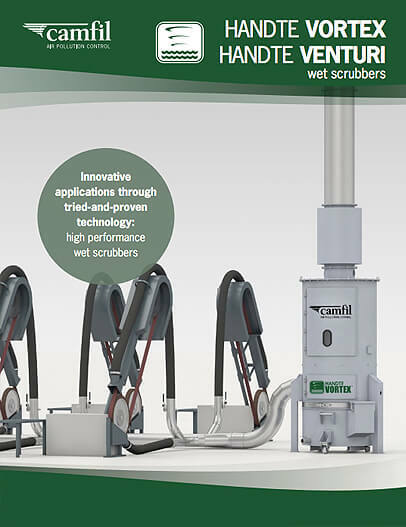 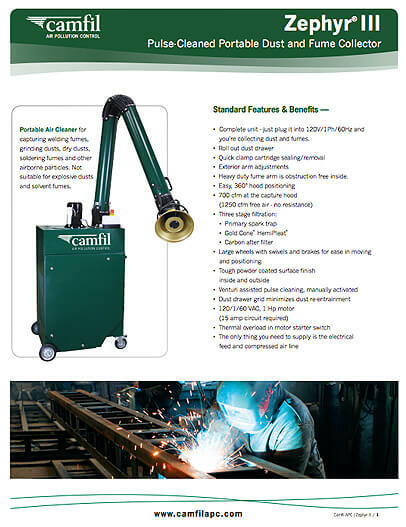 It handles all kinds of toxic and combustible dusts, smoke and fumes, including fine, fibrous and heavy dust loads. 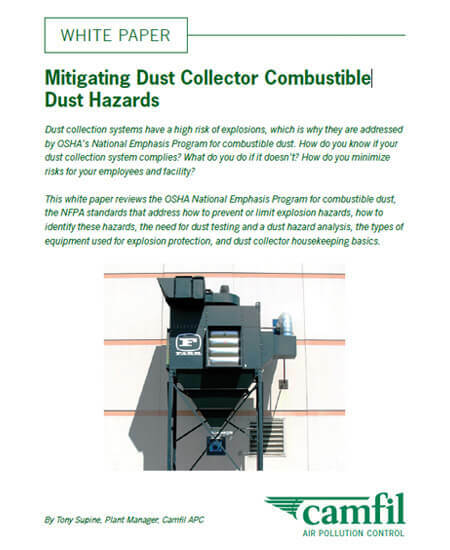 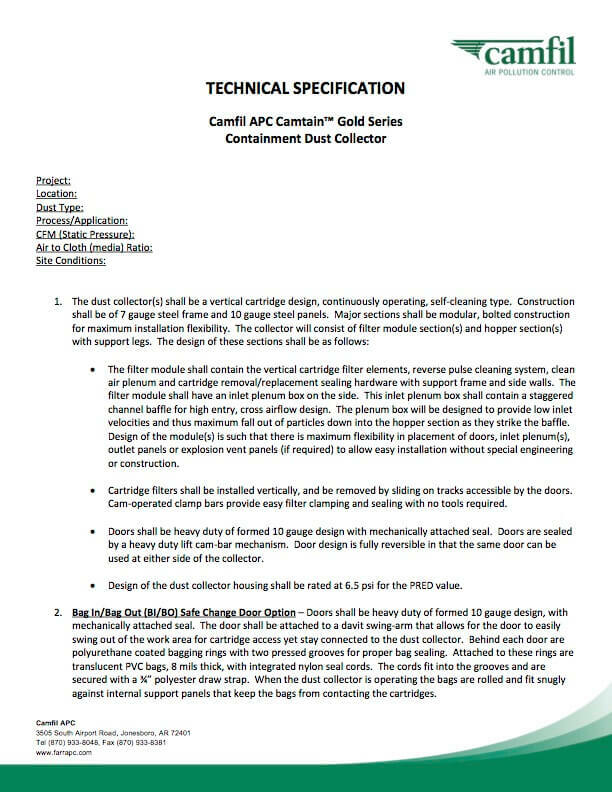 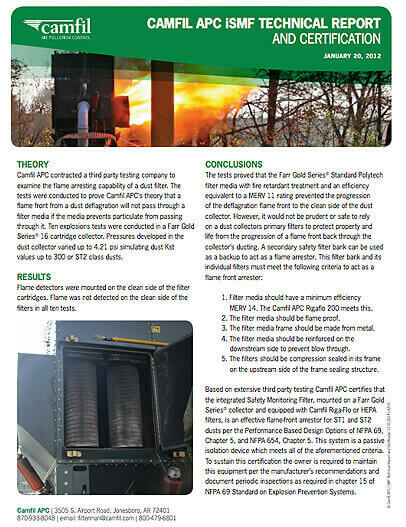 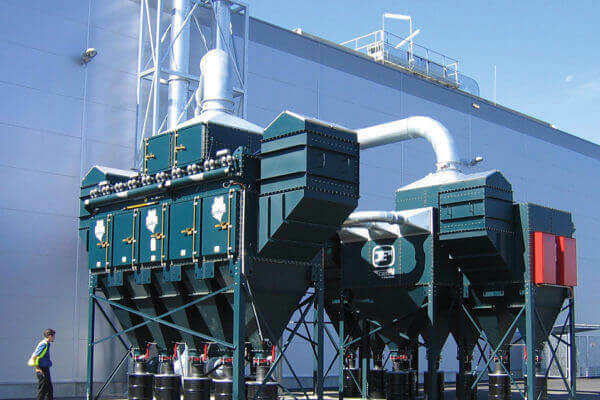 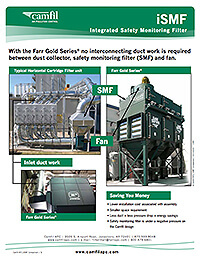 GSX dust collectors effectively process dust while maintaining a low pressure drop. 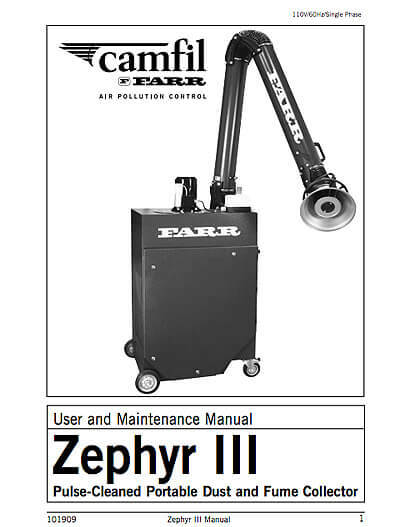 You get the maximum airflow and dust processing power for any given footprint. 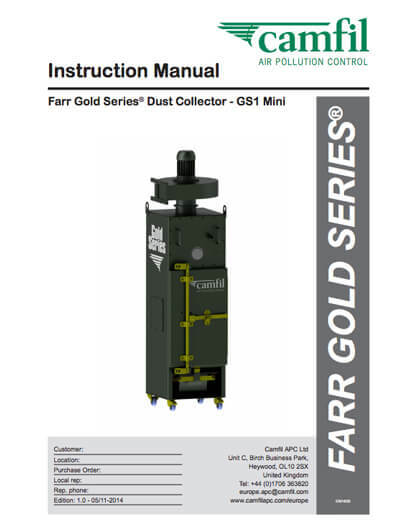 It’s easy to customize the GSX industrial dust collector for your specific work environment. 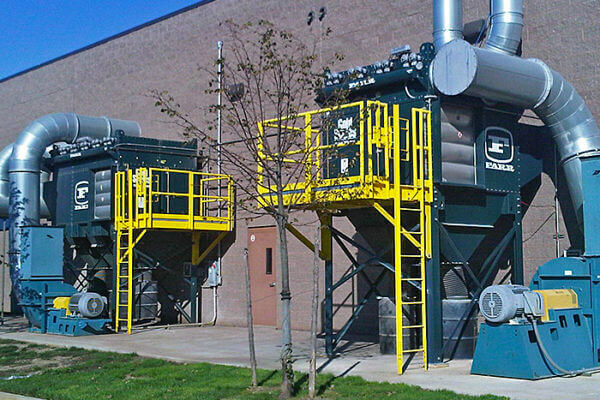 Individual modules accommodate airflows up to 6,000 CFM each, providing a near-limitless variety of configurations. 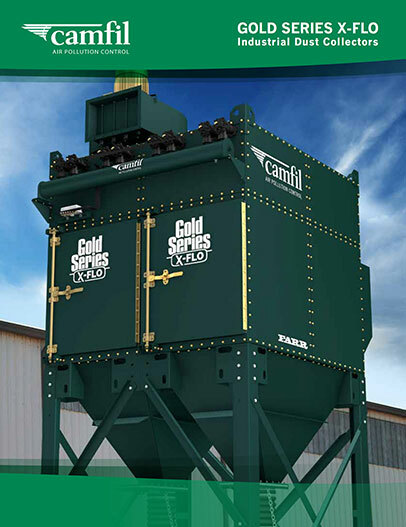 You get fast delivery of a system that is just right for your application and space. 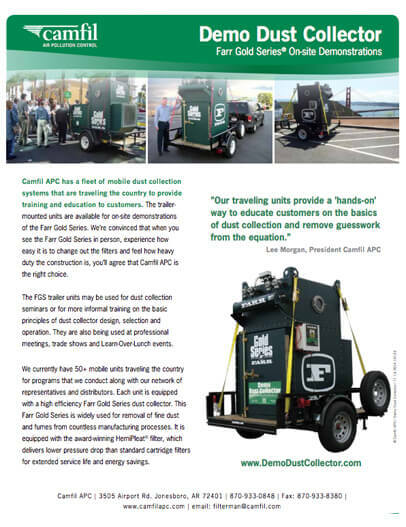 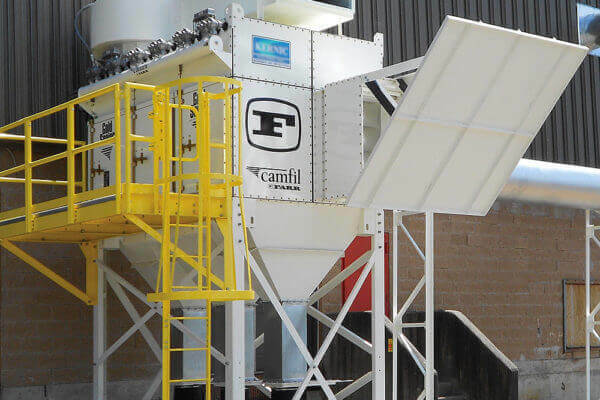 It's ideal for collecting dust from the manufacturing and processing of dry bulk powder. 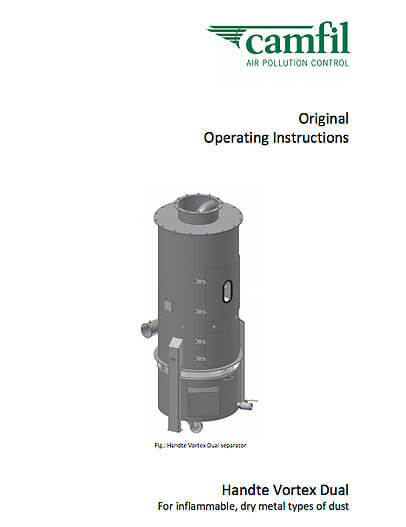 We designed the inlet, filter cartridges and filter position so each housing module can accommodate larger cartridges without increasing the overall footprint. 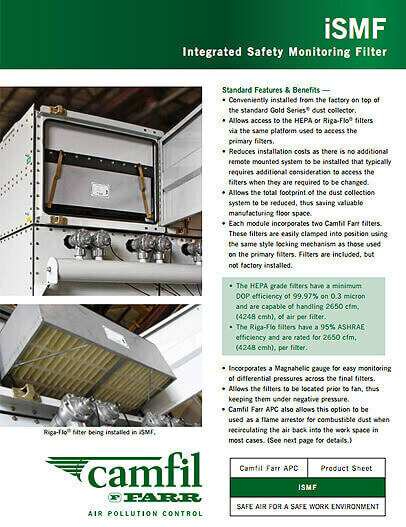 Each module holds four cartridges of HemiPleat® filter media and maintains a low pressure drop. 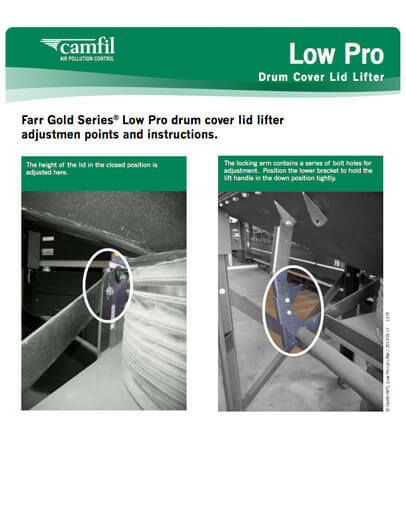 X-Flo filter cartridges feature proprietary HemiPleat Gold Cone™ filters that stay cleaner and last longer than conventional pleated filters. 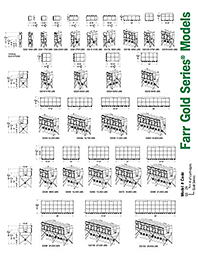 Gold Cone X-Flo cartridges use our proprietary Gold Cone inner pleat pack. 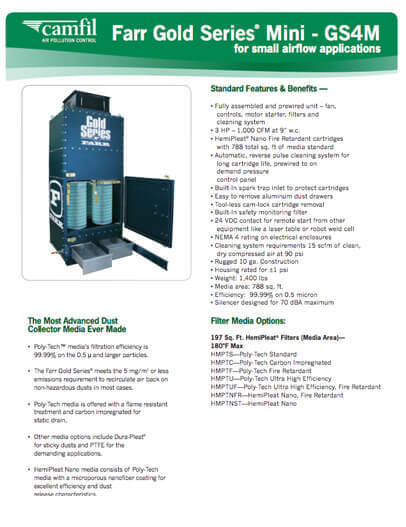 This open-bottomed, inner cone of media greatly expands the usable surface area of the cartridge. 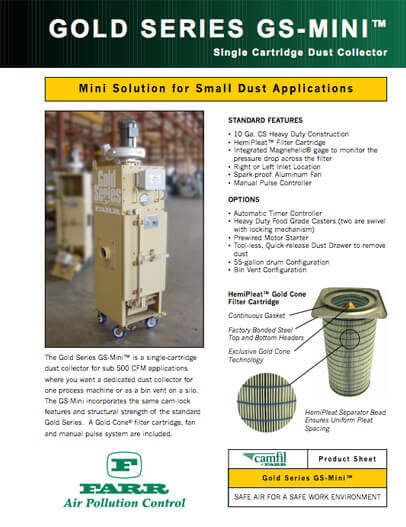 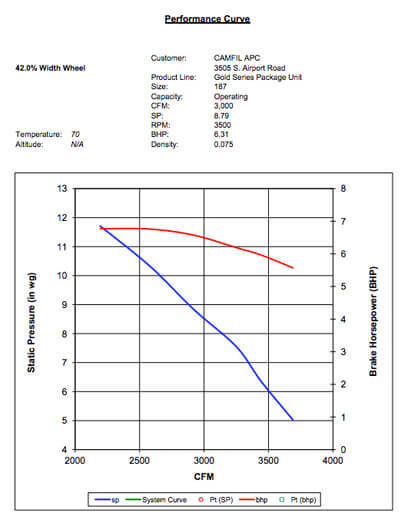 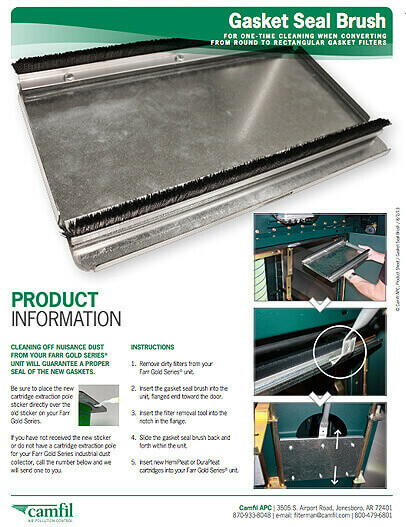 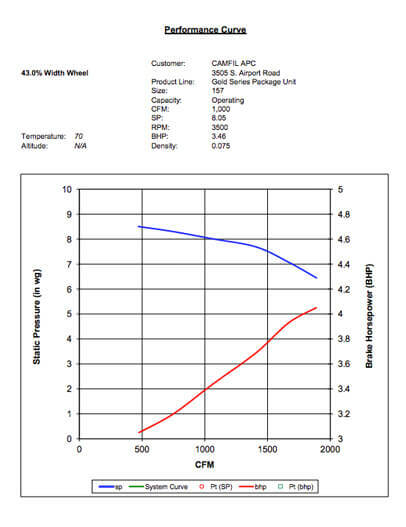 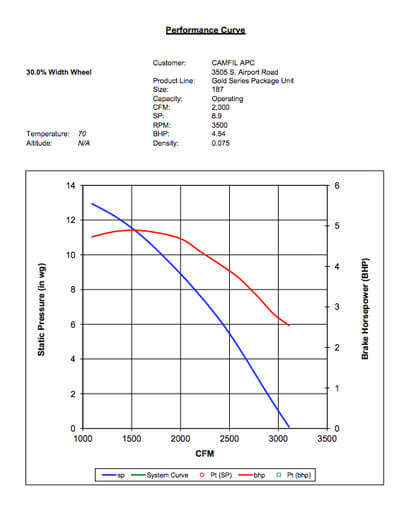 HemiPleat technology is our unique approach to creating highly efficient pleated filter media that exposes more media to the airstream, so more dust is loaded on the filter and then released when pulse-cleaned. 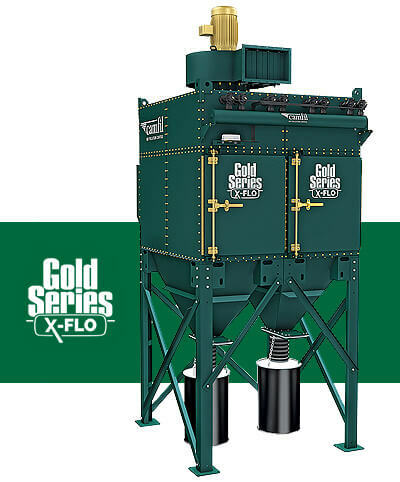 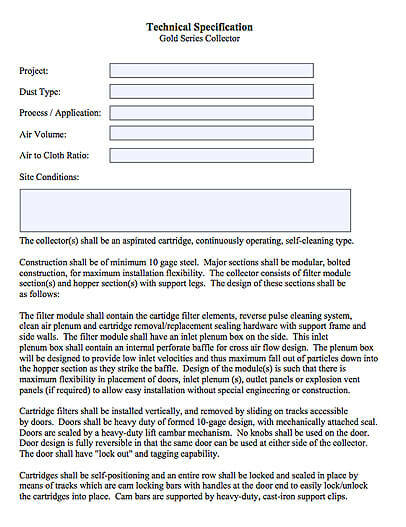 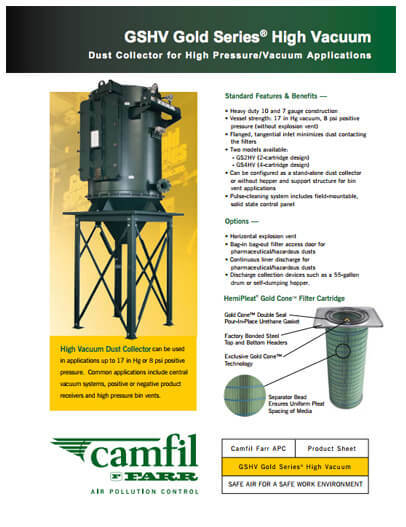 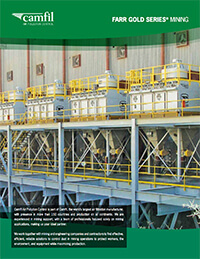 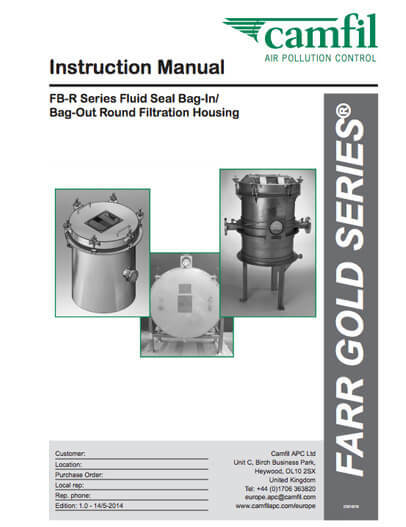 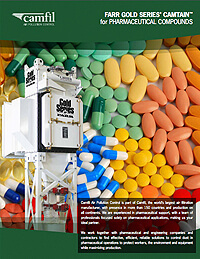 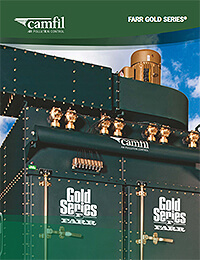 The Gold Series X-Flo industrial dust collector offers modular design for maximum flexibility. 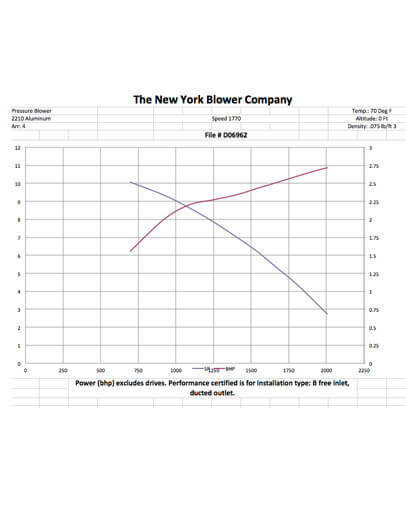 Have it your way fast! 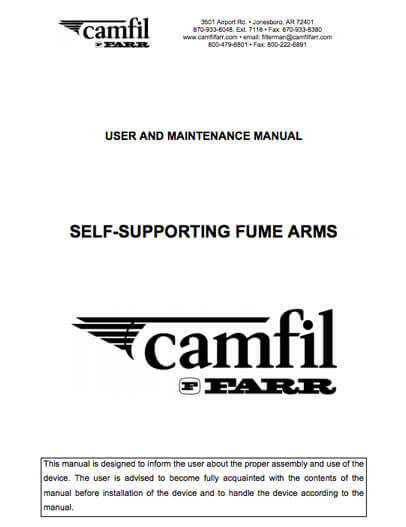 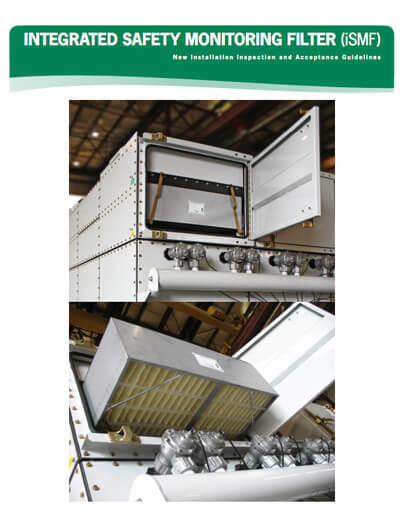 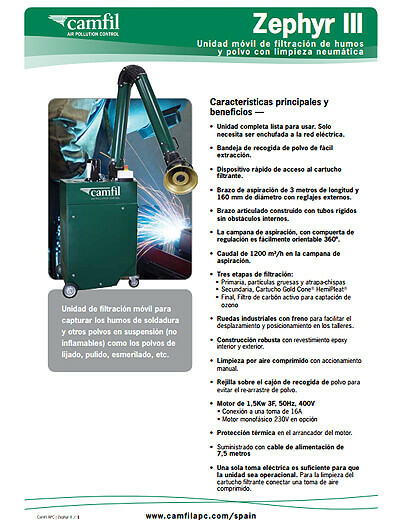 Each module accommodates airflows up to 5,000 cfm each. 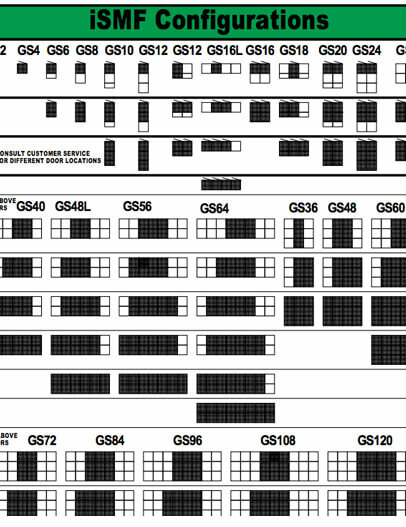 Component configurations are virtually unlimited. 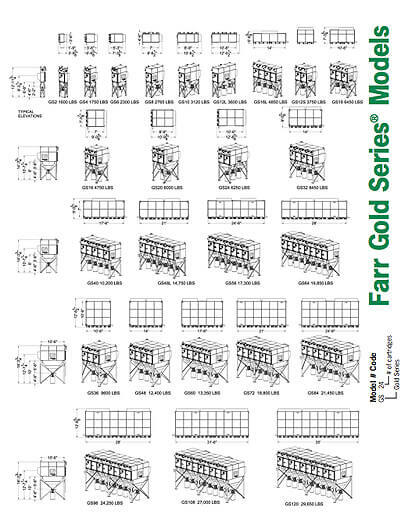 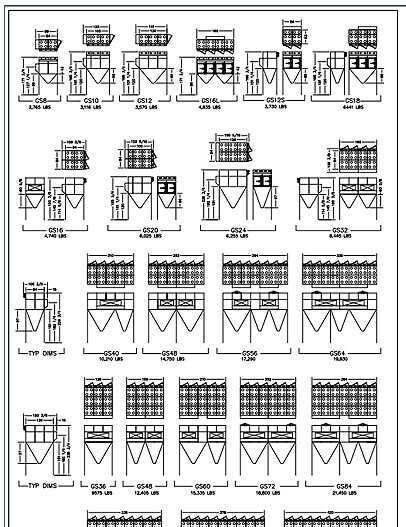 Standard model configurations are GSX2, GSX4, GSX6, GSX8, GSX10, GSX12SQ, GSX16, GSX16L, GSX18, GSX20, GSX24, GSX32, GSX36, GSX40, GSX48, GSX48L, GSX56, GSX60, GSX72, GSX84, GSX96, GSX108, and GSX120, but any size configuration can be obtained. 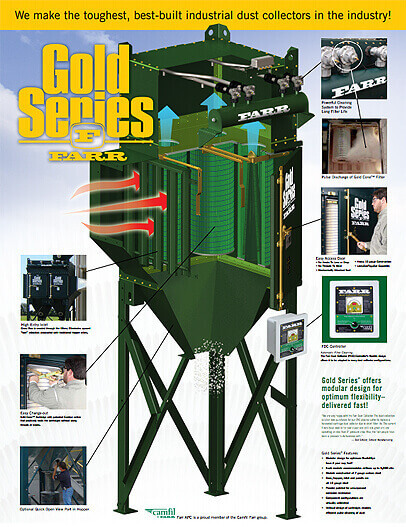 A GS24 with platform and ladder, silencer, blast plate, and custom door setup. 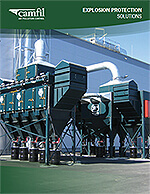 GS24 model with explosion vents and integrated HEPA filter. 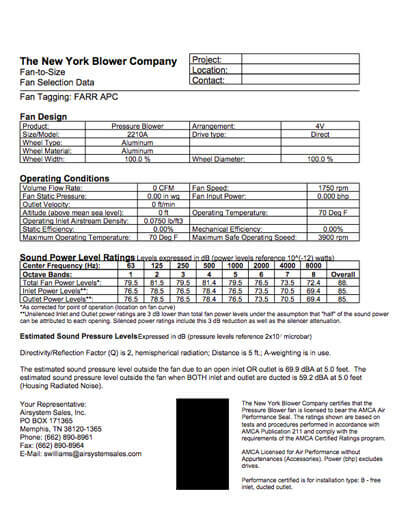 Farr GS with directional explosion vent and integrated SMF. 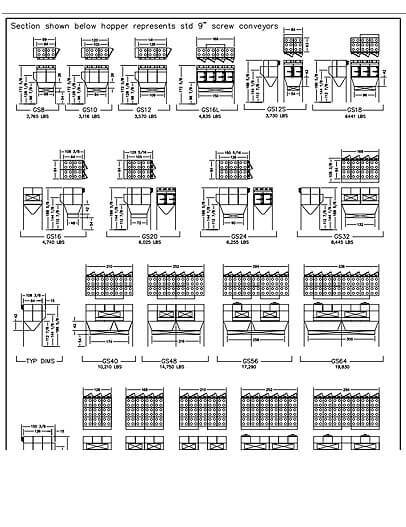 Multiple FGS units with platform and ladder options and explosion vents.